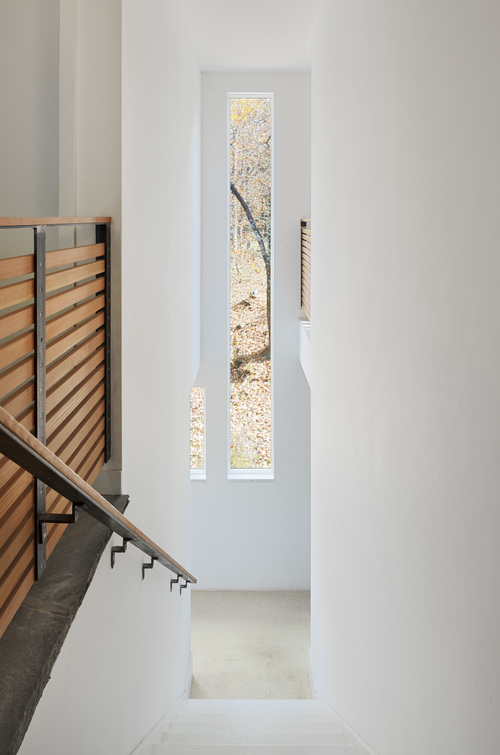 The Artist’s Studio is a freestanding structure connected to a pre-existing residence by two bridges. 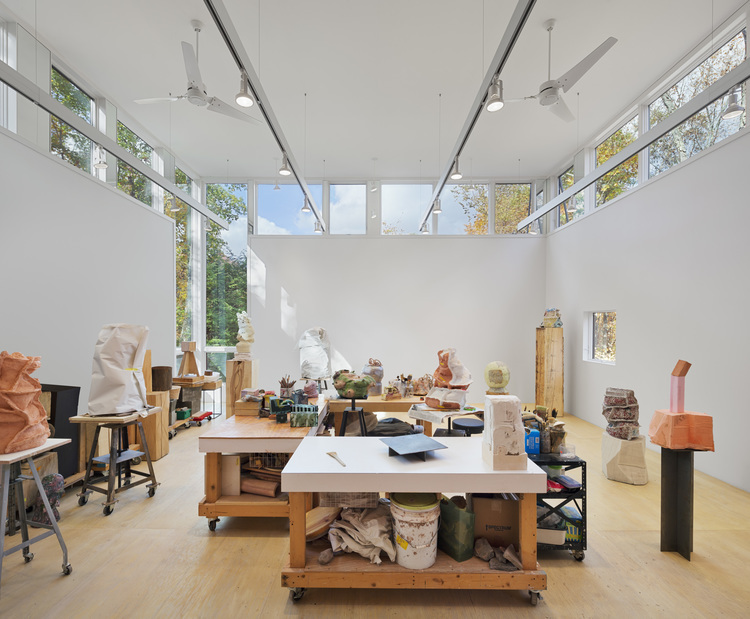 It contains both a small drawing studio and a double height main workspace with a kiln and storage room. On the upper level, guest quarters with full bath and a library overlook the studios. A retaining wall of stones gathered from the site directs the water flow, and defines the change in elevation between house and studio. The site is located on the north face of a steep hill facing the Catskills presenting both magnificent views and environmental challenges. To manage the heavy rain and runoff down the slope, the studio is raised on concrete pilotis and has an extensive green roof.